The British value of democracy can be explored with children of all ages. 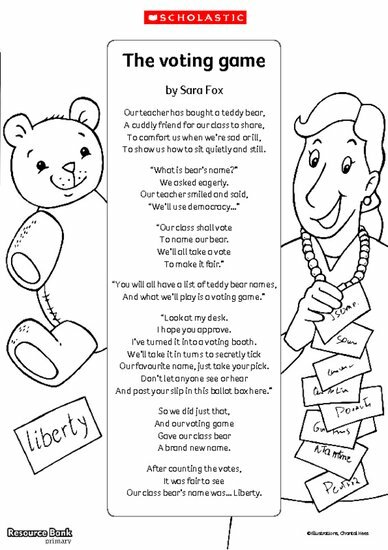 Whether you’re introducing the concept of voting to KS1 children, looking at the history of democracy in KS2 or setting up a new school council, this poem is perfect. The poem ‘The voting game’ provides an example of a classroom vote. It also doubles up as a brilliant colouring activity for younger children.